of around $6 billion dollars in annual U.S. foreign military aid, the State of Israel receives more than half of it. See more at www.howmuch.net. 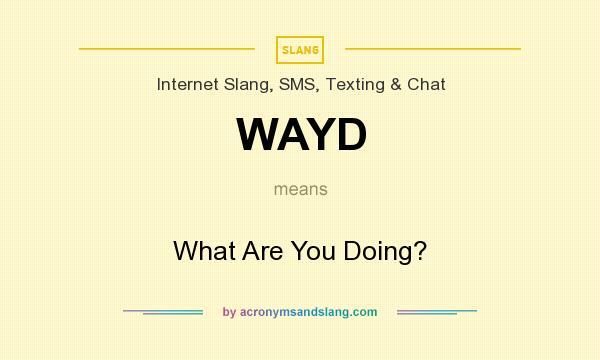 For those readers who might be less Internet and social media savvy (not that I’m any expert, by the way), check out this handy acronym: “wayd” (= “what are you doing?) a shorthand many people use to ask for a quick update on their friends’ or family’s current activities of the day. You’ll see a lot on this website about “the Kairos Document” or “Kairos Palestine” which you can read here. And if you don’t think you have time to read the whole thing, I’ll give you the bottom line: Palestinian Christians (including Lutheran Christians) are in dire straits and have explicitly asked for our help–almost SEVEN YEARS AGO. Maybe you didn’t even know this. But now you do. So the question now becomes, how will you respond? WAYD? I’ve long noticed that people who are working the hardest here in the U.S. to end the Israeli occupation are often the exact same people who are working the hardest to help support Lutheran ministries in the West Bank/East Jerusalem—three quick examples: Opportunity Palestine, Americans for a Vibrant Palestinian Economy and Bright Stars of Bethlehem. And to the people in the ELCA who are working equally hard to ensure billions of U.S. tax dollars will continue to flow to the Israeli military and weapons manufacturers in order to maintain a brutal occupation, I often wonder—in what way have you supported and accompanied Lutheran ministries in Palestine? What is the relationship between peacemaking and fairness? As the ELCA discusses our Church’s involvement in the occupation of Palestine next week, one will no doubt hear some Voting Members argue that we need to be fair in our stance toward this issue. But what would “fair” really look like in today’s world? While this was certainly true way back in the day, the political situation has changed quite a bit over the past 30 years. Israel signed a peace treaty with the second biggest power in the region, Egypt, in 1979 and with Jordan in 1994. And while hostilities with Syria remain technically unresolved, Assad currently has his hands full with his own civil war and the Syrian army is in no shape to attack any other country in the region, much less the sophisticated and powerful Israeli military. Lebanon is extremely weak and divided—not even able to muster a defense in the face of repeated offensive Israeli military invasions in 1982, 1993, 1996 and 2006. Given the recent relative docility of its near neighbors, the Israeli government has more recently pointed to distant Iran as the new “boogeyman on the block.” (Tehran and Jerusalem are about 1,000 miles apart.) Yet, Israel’s annual defense budget is nearly three times greater than Iran’s. Compared to Iran, Israel has more than four times as many tanks, ten times the number of armored assault vehicles, twice as many fixed-wing fighter aircraft and four times the number of attack helicopters. Israel’s air force is ranked “second to none in the world,” even superior to the U.S. Air Force. in the past 50 years, the State of Israel has developed one of the most (if not THE most) technologically sophisticated military establishments in the world, including likely acquisition of nuclear weapons—largely funded by U.S. tax dollars—in fact, over $100 billion in tax dollars, according to the Israeli press. The Israeli government and owners of Israeli weapons manufacturing companies directly benefit from having you continue to think that they are “surrounded by hostile neighbors.” After 50 years of military buildup sponsored by the U.S., Israel’s neighbors no longer pose a threat. And most people in the U.S. don’t even flinch over the prospect of pouring an additional $30 billion of arms into the Israeli military apparatus. Yet a “fair” proposal to give $130 billion of military aid to the Palestinian Authority would certainly be dismissed as an absurdity. Why is continuing to arm one “side” to the hilt thought of as fair? How does funding one of the largest armaments stockpiles in the world advance peacemaking in the region? Why does the U.S. subsidize the sale of Israeli arms to war-torn countries? Justice and fairness are indeed important in any process of reconciliation. If anything, working to maintain the status quo is grossly unfair. What’s an Investment Screen? And Why Would We Want One? Resolution C2 as it is currently worded will require Portico (the Church’s retirement/benefits administrator) to implement a new human rights screen, one that will help the Church avoid profiting from the suffering and oppression of others, wherever that oppression is taking place in the world. C2 makes perfect sense. You can read more about the ELCA’s corporate responsibility policies here.